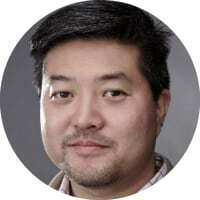 Bernard Moon is a Co-founder & Partner at SparkLabs Group, a network of startup accelerators and venture capital funds. Previously, Bernard was a Managing Director at the Lunsford Group, which is a private investment firm with holdings in real estate, healthcare and other industries. Bernard was Co-founder & VP of Business Development of GoingOn Networks, a social media platform for companies, and also led their product development where BusinessWeek recognized them in their “Best of the Web” list. Previously, Bernard was a Director at iRG, a leading boutique investment bank in Asia, where he focused on TMT companies. Not sure if I’m an expert, but my background in finance started when I joined a boutique investment bank, iRG, that was based in Hong Kong. This was back in 2001. I’ve been primarily in the startup world for most of my career, and within those startups I’ve been the primary business and finance person on the team. I was also at a family related investment firm, Lunsford Group, for a few years before I co-founded SparkLabs, which was our first startup accelerator based in Seoul, Korea. I’m currently most interested in blockchain related applications, AI creating efficiencies within the financial sector and credit scoring. These are also reflected in some of our investments such as Blocko, which is the leading enterprise blockchain company in South Korea. And two companies in the credit scoring space, Selfscore (Palo Alto, CA) and Aire (London). I don’t really look for specific influencers and just read who is in my feed at the time. But Spiros Margaris does come up a lot since he tweets some great articles and ideas. Plus I met him in Rome earlier this year at a conference we were both speaking at and found him to be a terrific person. CB Insights since I love their research within the space and in tech overall. Venmo is massive. Every 20-something and many people in their 30s use it in the U.S. And it wasn’t even the primary reason why Paypal bought Braintree, but it turned out to be the chocolate surprise in the middle. I also love the Robinhood brand and service even though I’m not a user of their mobile app. I’m pretty open but pretty busy. Our network of accelerators has rapidly grown over the past year. We launched SparkLabs Beijing in April 2017 in partnership with CITIC Guoan Academy. Guoan Academy is a subsidiary of CITIC Guoan Group, which is the largest industrial subsidiary of CITIC Group. CITIC Group is a leading state-run financial institutional in China with over US$514 billion in assets under management. We launched SparkLabs Taipei and SparkLabs Cultiv8 (AgTech/FoodTech) in the recent month, and we will be announcing SparkLabs FinTech soon.